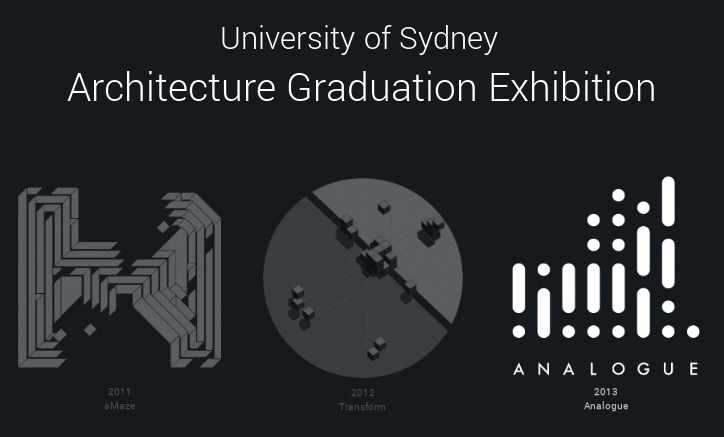 Today I’d like to officially release the Usyd Architecture Exhibition website. The University of Sydney Architecture Faculty puts together an annual exhibition for its graduating Bachelors and Masters students. This gives students an opportunity to showcase their best projects. An event is held to exhibit these works, and along with this a hardcopy curated catalogue and a digital catalogue is released. So as expected, the site hosts this year’s digital catalogue, and will continue to host future year’s submissions. There are currently about 100 submissions listed across five diverse project briefs. Feel free to look around, but I’d like to issue a word of warning to my readers that you might find the project descriptions more affiliated towards the romantic and social science-esque narrative. If you’re wondering why a lot of the work is more art than design, I’d like to highlight that we aren’t incapable of making functional, logical and real-world problem solving designs. However it does seem that a lot of students aren’t taught how to write, and end up romanticizing the design into an artwork. That said, some designs do aim to be utopian and speculative, but I guess if you’re going to be spending the rest of your life looking at glazing and bolts, you’re excused for a little fun during university. I’d also like to get the chance to highlight my own submission on the website. 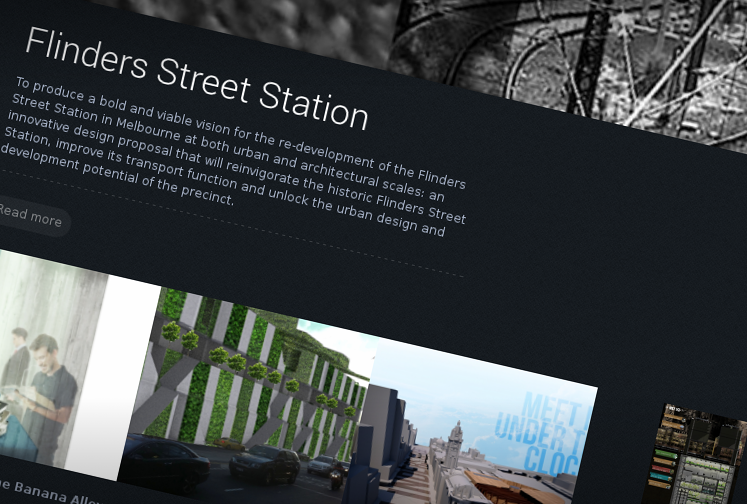 My project this semester involved proposing a Flinders St Hotel. It’s a rather large scale project, and would take too long to explain fully, even for the generous space that the online catalogue allows. I recommend viewing my project page and reading the full description there. It gives an overview of the project.